It's been a while since I posted. I started back trying to rearrange and organize my craft room. I know it's been over a year since I started. It is just so overwhelming that when I stop one day I just have a very hard time getting started back. I did finally get the island top I was able to get off Craigs List months ago set up. I used all but 2 of the cubes I got at Michael's a few years ago as the base. I love it! That will be my new sewing table. It is a little over 3 feet deep and a little over 6 feet long. Sure will make sewing my quilts much easier. Well so much for how I been spending some of my time and onto the card. I waited until the last minute to make my Valentine cards this year. I made 5 yesterday so I could get them out today. This is the one I made for my sister. I really like how it turned out. Your sister will love the adorable card you made especially for her. Aaaaw, this is adorable Nana! Your sister will love it:) It is darling! This is absolutely the cutest! I love the colors! What a adorable card!!! Love that lovely girl image!! Your sister will love it!!! Have a great day. Totally gorgeous Nana I like the sweet image and the verse!! This is just precious for sure! Your sister will love it especially the sentiment! Oh I can second your woes with the craft room clean up/rearrange. I had started it to a few weeks ago and things in life have been challenging lately, so it's made it hard for me to get in there, and then I am so not motivated because things were left in a mess. I don't have a big space, and I have to work with what came with the house, and I think I feel overwhelmed and frustrated trying to find something that works. I don't even want to go in there. Tried one thing that doesn't work tried another that didn't either so it's a big mess, and now I have not been able to get back to it, and honestly I don't want to even go in there. Ugh. It's like trying to climb a mountain at this point. Awwww... This is just Darling!!! Your sister will love the adorable card! The sentiment is so SWEET! 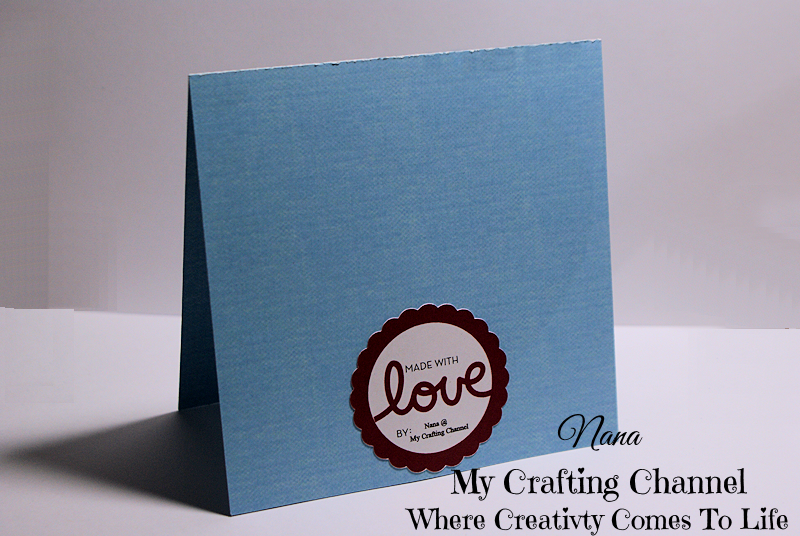 Oh Nana this is another adorable card, love that precious moments image.